About Us - Two Branches, Inc.
Have you ever followed your nose to find us at an event or venue? Did you experience the sweetest smelling aroma out there? Totally Nutz has a crazy way of fresh roasting cinnamon glazed nuts for over 26 years at various types of events and venues. Do you just have to have more? Here at Totally Nutz we take nut allergies seriously. Because peanut allergies can be life threatening, we have chosen not to roast peanuts in order to avoid cross-contamination. Yes we are gluten free! Click here to see our online store and place your order. We are crazy about helping your fundraising goals. Our no-work fundraisers are perfect for churches, schools, sports teams, charities and more. Have Totally Nutz can host your next event and receive a donation of 10%-20% of total net sales for your organization. Click here to find an operator near you. 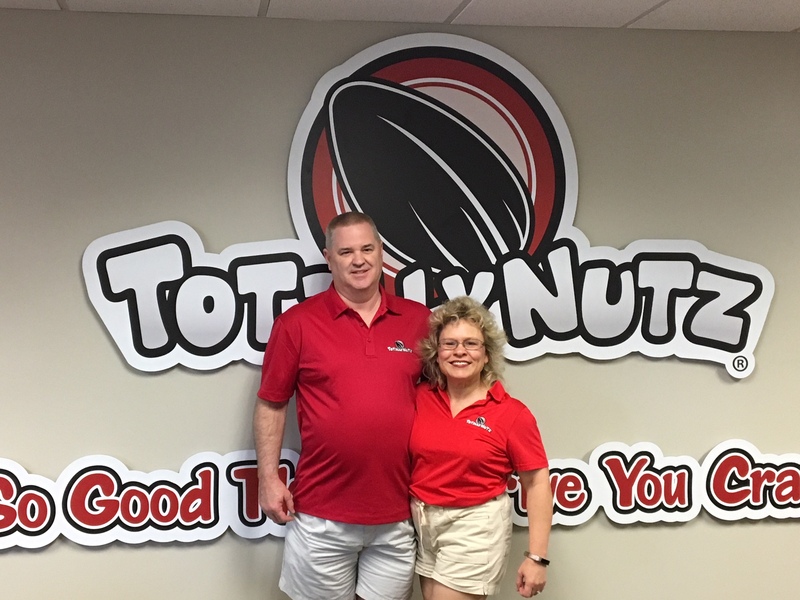 If there is no Totally Nutz location near you, we want YOU to be our next franchisee! Click here for more information. Click here to like us on Facebook so we can share with you all of our awesome events and locations.